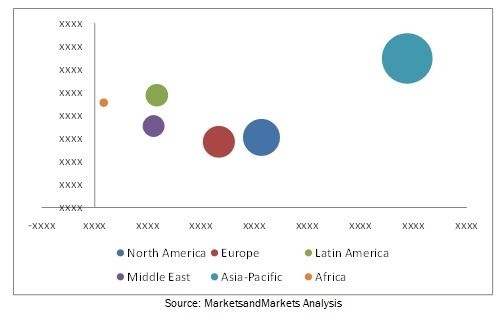 The report "Vacuum Contactor Market by Voltage (<5kV, 5-10kV, 10-15kV, >15kV), by Application (Motors, Transformers, Capacitors, Reactors, Resistive Loads), by End-user (Utilities, Industrial, Commercial, Oil & Gas, Mining) & Region - Global Trends & Forecasts to 2020",The global vacuum contactor market will grow from an estimated value of USD 3.43 Billion in 2015 to USD 4.81 Billion by 2020 with a CAGR of 7.04% from 2015 to 2020. Browse 71 market data tables and 54 figures spread through 166 pages and in-depth TOC on “Vacuum Contactor Market by Voltage (<5kV, 5-10kV, 10-15kV, >15kV), by Application (Motors, Transformers, Capacitors, Reactors, Resistive Loads), by End-user (Utilities, Industrial, Commercial, Oil & Gas, Mining) & Region - Global Trends & Forecasts to 2020"
The market study on vacuum contactor defines and segments the market with regional forecast and segment revenue estimates through to 2020. Top market players from the industry segment have been studied in order to track developments, technologies, and other key business strategies that define the vacuum contactor market environment. The vacuum contactors are used for those applications that require low to moderate continuous load current, very frequent switching operations, and very high endurance. The Asia-Pacific region holds the largest market for vacuum contactor, driven largely by the number of transmission and distribution line upgradations and developments especially in the South East Asian region. The other major drivers include increasing power demand, industrialization and urbanization, and rapid development in the commercial sector in countries such as China, India, Japan, and South Korea. Vacuum contactors are mostly used in power plants, transmission, and distribution substations of power utility companies. They are used for blowers, water pumping, conveyors, capacitor switching, and other power switching applications. With the growing transmission and distribution network across globe, the number of substations will keep on increasing. This increasing number of substations would further increase the use and demand of vacuum contactors. The vacuum contactor industry is fragmented and offers several opportunities for consolidation and growth in efficiency through an increase in economies of scale. The industry has low entry and exit barriers, which acts as a driver for the vacuum contactor market. Top players of the vacuum contactor market are ABB Ltd. (Switzerland), Eaton Corporation Plc. (Ireland), Schneider Electric SE (France), Mitsubishi Electric Corporation (Japan), and Siemens AG (Germany).